TheFunded, the site that lets startup founders leave anonymous reports on VCs they’ve encountered, has been issued a subpoena by a small Michigan based VC firm called EDF Ventures. The anonymity promised by Membership in TheFunded has been confirmed by leading programmers and by corporate counsel. Should EDF Ventures proceed with their request to subpoena records surrounding a post titled, ‘Avoid,’ TheFunded is certain that the anonymity of ‘John Doe’ will be now proven in a court of law. There are a lot of VCs who hate TheFunded for exposing character flaws, and posting term sheets. 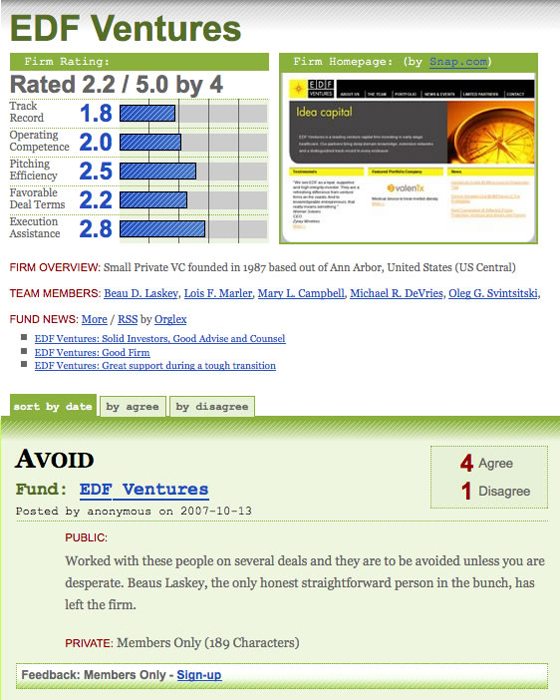 Earlier this year someone launched a parody site called The UnFunded (since taken down) that allowed VC’s to rate the “clueless” founders who wandered into their offices. But taking legal action, especially against such a minor “offense”, is extreme.